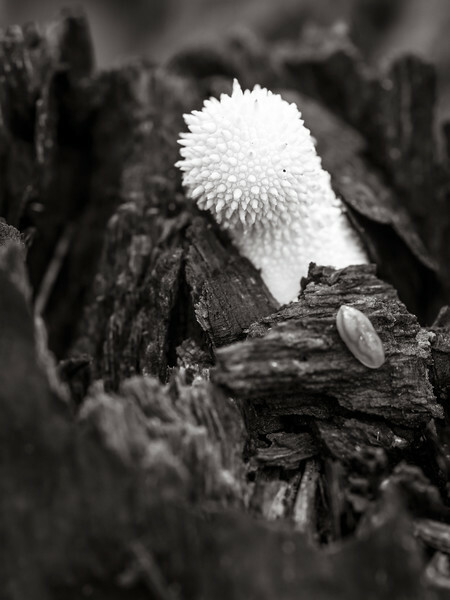 a tiny lycoperdon pyriforme mushroom in my yard. We have lots of varieties of puffball mushrooms in the yard. Just to the left is an older specimen that had blown its top already. OM 90mm at f5.8 or possibly 8.